the purple clover flowers also pictured. Honey is a sweet treat that our honey bee friends make! The honey they make, and we enjoy, is made from the nectar of flowers. Each flower has a unique nectar that produces a unique honey. There are more than 300 different honeys in the United States, and more than 3,000 in the world. Those hundred and thousands of honey varieties have different tastes, textures, colors, and characteristics. Some honeys crystallize quicker than others, while others have an overall thicker consistency. You can have honey that is almost clear in color like Fireweed, but also honey that is so dark you can’t see through it like Buckwheat. 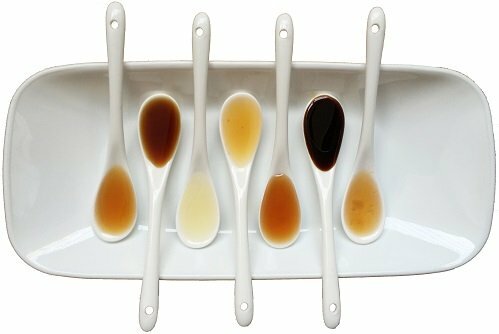 With those different colored honeys comes different flavors and uses. Honey’s beautiful spectrum of colors provide endless opportunity. 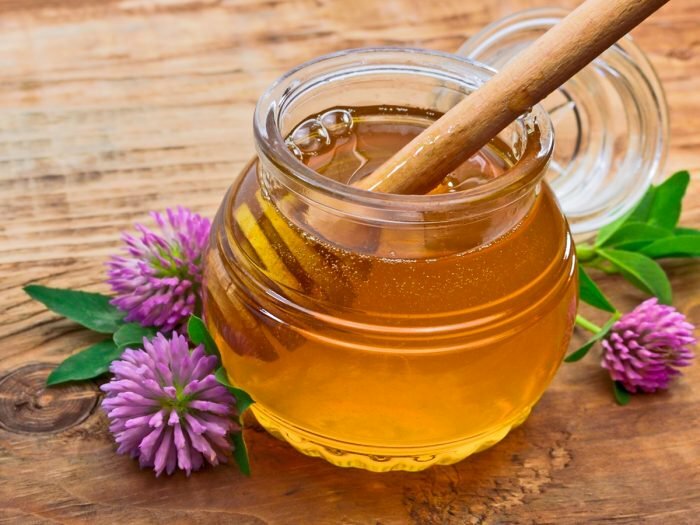 Darker colored honeys have a stronger taste and can be great for cooking with meat. The lighter colored honey varieties are sweeter and perfect for using in baked goods. Some honeys even have very unique flavors based on the flowers the nectar came from. Orange Blossom Honey is a lighter colored honey, almost orange in color! It is sweeter and you can taste the citrus in it. Another unique honey is Sage Honey. It is a lighter colored honey that granulates (gets hard) slower than other types of honey. The next time you are at a farmer’s market or see a honey booth at a fair or festival, look at the different honey for sale. You might see a wide variety of colors, and if you get the chance, you’ll be able to taste the different flavors and textures.